check whether the main bearing of mixing console is calorific, if fever in the process of operation, check whether no lubricating oil, there is no damage to the bearing, skirts with and without friction. 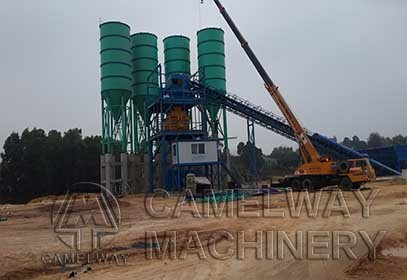 open the cement mixing plant mixing console observation door to see if mixing blade fracture, fracture, clean up the broken blade, if any, change new one. whether mixing blade with lining plate collision, such as collision, the clearance between the plate and adjust the blade (less than 5 mm). check if aggregate size exceeds bid (or greater than 80 mm), if the particle size, should be chosen according to the standard ingredients. whether the spline shaft with loose, loose if cooperate, to replace HuaJian shaft or sleeve, and adjust the alignment.